Liberty Ranch High School is located in Sacramento County, just outside the northeast boundary of Galt, California. It serves both a rural and suburban population and was built in response to overcrowding at its sister school, Galt High School, when a building boom began in the 1990’s and the early 2000’s. 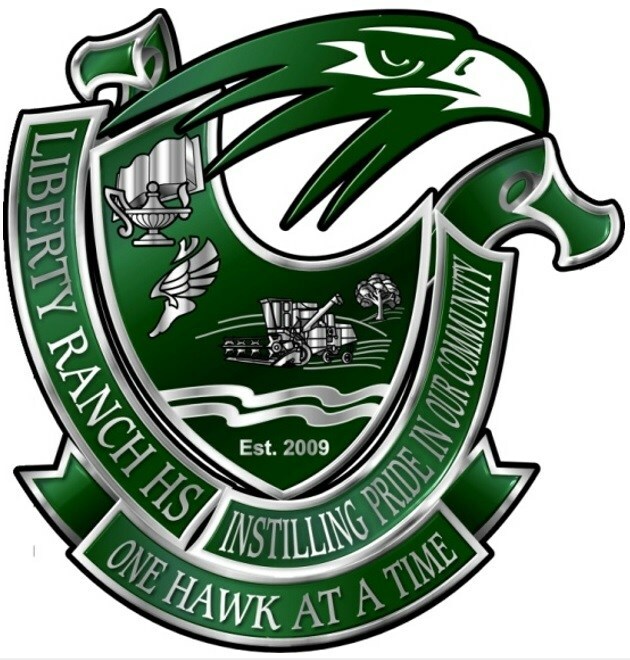 Liberty Ranch High School opened on August 18th, 2009 with an initial student population of 589 students; 345 9th graders and 244 10th graders. We currently have a student population of nearly 1200. The students enrolling in Liberty Ranch come from four different feeder schools from four different districts. These students come from a varied background, from living on farms and dairies, to federally subsidized housing, to homes ranging into a price range well above $500,000 and reflect the surrounding areas diversity. Until the recent downturn in the economy, Galt was a growing bedroom community with much of its population traveling to Sacramento, Lodi, or Stockton for employment. The city of Galt was founded in 1869, and while the area economy has been primarily based on agriculture, there has been increased economic expansion. During the last ten years the employment picture has been brightening with increased job opportunities in manufacturing, construction, and retail. The campus of Liberty Ranch High School was proposed in an area of increasing home construction and rising student population. With the world-wide recession, home construction in the area halted and the school is currently surrounded on three sides with farmland. A person traveling one block to the west will enter a suburban community, while that same person heading east would encounter a rural area of crop farming and dairies. 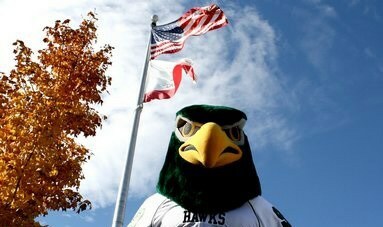 Though faced with declining enrollment, the Galt Joint Union High School made the decision to honor its promise to the community by opening Liberty Ranch High School on August 18, 2009. 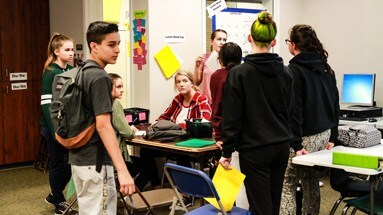 Students enrolling in Galt Joint Union High School District as freshmen enter from one of four feeder schools from four different districts; Arcohe, New Hope, McCaffrey, and Oak View. With the district adopted school attendance boundaries, Liberty Ranch High School draws from Arcohe, New Hope, and McCaffrey, but students from Oak View may request an instra-district transfer. The school follows a traditional school year calendar and currently serves students in all four grade levels. With the current transportation rules, the majority of our students walk or receive transportation from family and/or friends. Students who attended Arcohe and New Hope receive bus transportation. The Liberty Ranch High School student population includes a substantial number of Special Education students. The majority of special education students are mainstreamed for some or all of their core and elective classes. Liberty Ranch High School’s student population includes English Learner students, mainly Spanish speakers, who require supported curriculum and English Intensive Support classes (Edges). There are many advanced and GATE students who are offered honors and AP courses to meet their needs for a rigorous and challenging curriculum beyond the standard college-prep classes. The District also employs a GATE Coordinator to facilitate additional support for GATE students. Liberty Ranch High School also offers a variety of Visual and Performing Arts electives. LRHS is represented on the District GATE Committee to help develop programs to meet the needs of GATE students beyond AP/Honors offerings. Teachers have accepted the challenge of addressing the needs of students, who fall in the middle, by improving their achievement through increased attention to standards-based instruction and assessment. Liberty Ranch High School has started an AVID program to encourage students to work towards college enrollment after high school. AVID will provide tutoring, study skills practice, field trips to colleges, and encouragement for students with no family history of college enrollment. All students at Liberty Ranch High School are enrolled in a rigorous, relevant, and coherent standards-based curriculum. All of the district adopted curriculum and textbooks are aligned to State standards. All adopted curriculum has gone through the Curriculum Committee and Board of Trustees. All adopted textbooks are reviewed by a committee of teachers, administrators, parents, and students, recommended to the governing board and approved by them. Common Assessments have been created for all core classes. All of our programs, including CTE, World Languages, Leadership and Advanced Placement are available to all students. In some cases applications and/or interviews are required. To ensure their effectiveness each program will be reviewed by any or all of the following groups; School Site Council, Site Leadership Team, CTE Program advisory groups, and area AVID Program review. Prior to attending Liberty Ranch High School, general education eighth grade student’s grades and teacher recommendations in Math and English are reviewed for proper placement. Using the results of this data students are placed in one of four levels of ELA classes (English Intensive Support (Edges), English 9 Core with Support, English 9 Core, or English 9 Honors) and/or one of four levels of Math placement (Algebra 1-9 Core with Support, Algebra 1-9, Geometry 9, Algebra 2 with Trigonometry).